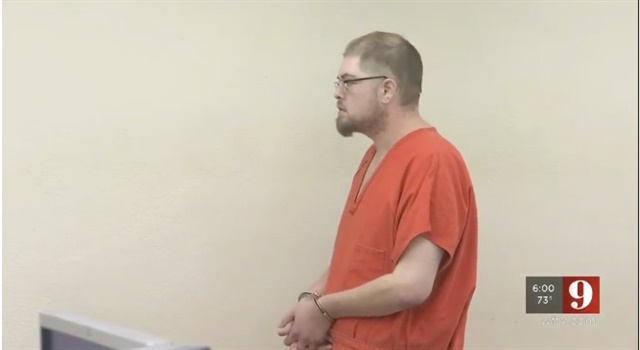 A 31-year-old DeBary, FL, man was arrested Sunday afternoon after deputies discovered potentially explosive devices and substances in his parents’ home, the Volusia County Sheriff’s Office said. He reportedly told investigators that he was anti-government and wanted to maim first responders. Deputies were first called to the home by the mother of the suspect, Christopher Langer. Langer reportedly told the deputies he had thrown a grenade into the backyard. The grenade didn't contain explosive powder, but Langer had about a dozen homemade blasting caps and numerous chemicals, including nitric acid and urea, Volusia County Sheriff Mike Chitwood said Monday. "That domestic violence call probably saved us from making national, international news," Chitwood told WFTV. "He has all of the components in there to make a weapon of mass destruction." Investigators said they discovered a small canister buried in the backyard covered by a toy. They said the device is a booby trap, describing it as a miniature pipe bomb without explosive powder.